I am now officialy as roch's fiance. The ceremony held on 18 August 2007 at my parents' house. Alhamdulillah the Majlis Pertunangan held smoothly. i came back earlier on Thursday 16 August 2007 (Is it early?? :P). When i reach home that evening everything is ready :P. My hantaran, my mini pelamin.. everything is ready. i am supposed to go back on friday instead of Thursday right?? :P haha sure people at home will kill me then :P.
Not much work i have to do except that i rearrange my hantaran according to my own taste and decorate my room. Even the engagement will took place at mini pelamin downstairs, my mom still asked me to decorate my room for photo session and of course the family from Sabah would like to look at my bedroom. I can't sleep on the Friday night. I don't know why. I am not nerveous, it is just i can't sleep. May be it is because the big transition in my life will happend on the next day.. may be.. i don't know. The photo can be found at http://alacute.fotopages.com/. i got chance to go to cameron on last Saturday what a lovely date 070707. yes i went there with my bee, nurul and "her friend". 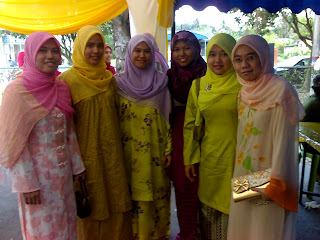 actually we went there to attend nad's and adi's wedding that fall on 070707. beautiful date and beautiful bride & groom. thanks nurul for invite me to go together with u and thanks nik for driving us climb up the cameron highlands. enjoy the pics :) forgot to tell that i bought myslef a lot of strawberry, tea, dried flowers and also plants... a lot of plants in the pot and also cactus. i went to almost every place in peninsular Malaysia. opss.. not completed every place actually. 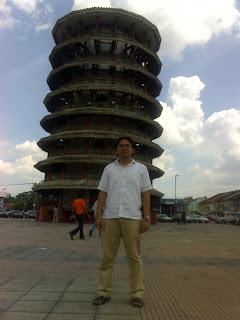 i never visit Teluk Intan before except i passed through the highway. 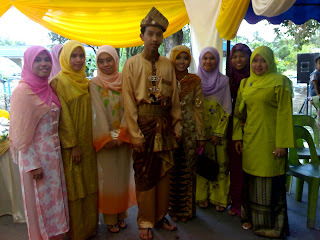 i attended the wedding one of my campus mate and also PLM hicomm during my time as a PLM president. 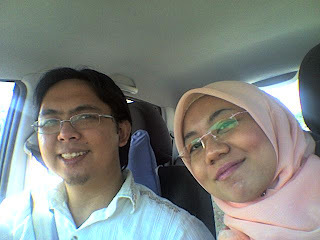 my bee drove to teluk intan and we caught in the very bad traffic jam for about 2 hours at rawang area. the journey that suppose to take 2 hours become 4 hours and we are really2 tired. the wedding was great... sham drove him self a small jeep and got a few mini cooper in yellow followed at the back. 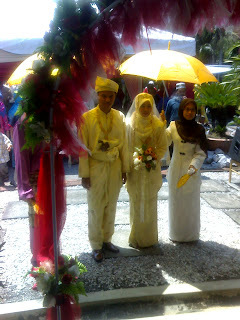 sham and alin were very gorgeous in yellow songket. 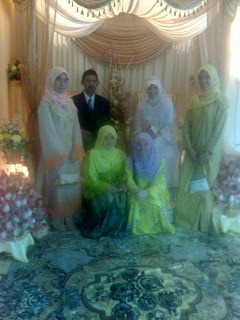 Congratulations for both sham and alin. May Allah bless your marriage through all your life.. Amin. 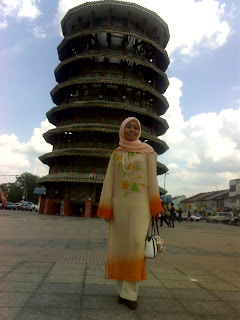 After we attended the wedding we were heading to teluk intan town and visited the famous menara condong, taking some pictures. On the way back we went to Bidor and bought some famous buah jambu there. went back to kl, tired but we were happy :). it's kinda long time i haven't update my blog. bz bz bz whatever people said :P anyway i managed to attend my best friend wedding, the lovely d'ja (who sit beside me from form 3 to form 5) congratulations dear and may allah bless your marriage.